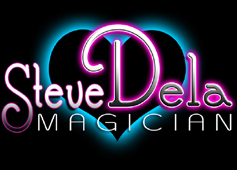 There is no better way to make your next event or party more memorable than by booking multi-award winning close up magician, Steve Dela. The feeling of wonder and surprise your guests will experience seeing magic performed right under their noses is unparalleled. 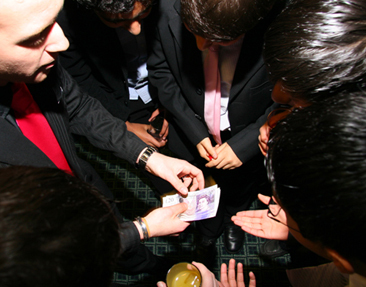 Close up magic is, without question, the most effective way of ensuring all your guests are fully entertained and enjoying themselves. Whether it’s a birthday party, corporate function or wedding Steve will ensure that your event is the one people are talking about for years to come! As the only person in the UK to ever be crowned ‘Close Up Magic Champion’ TWICE by the International Brotherhood of Magicians you can rest assured you are booking the best. As well as being an internationally renowned close up magician Steve Dela is also a critically acclaimed stage and cabaret performer. 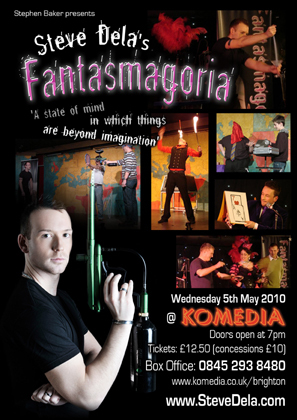 For over a year Steve produced and hosted his own monthly magic cabaret, ‘Fantasmagoria’, in both London and Brighton. 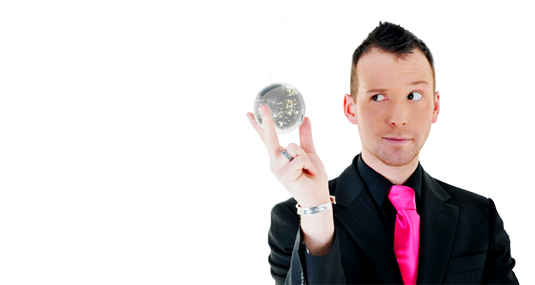 Steve’s full cabaret act consists of comedy magic, mind reading, skilful manipulations and even some death defying stunts! 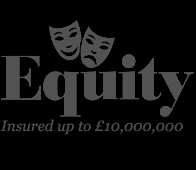 Whether you are looking for a full evening of cabaret magic, or after dinner entertainment, Steve can provide the perfect performance solution. He has also worked as a creative consultant for a number of variety shows, product launches, award ceremonies and even a live window display for a major department store. 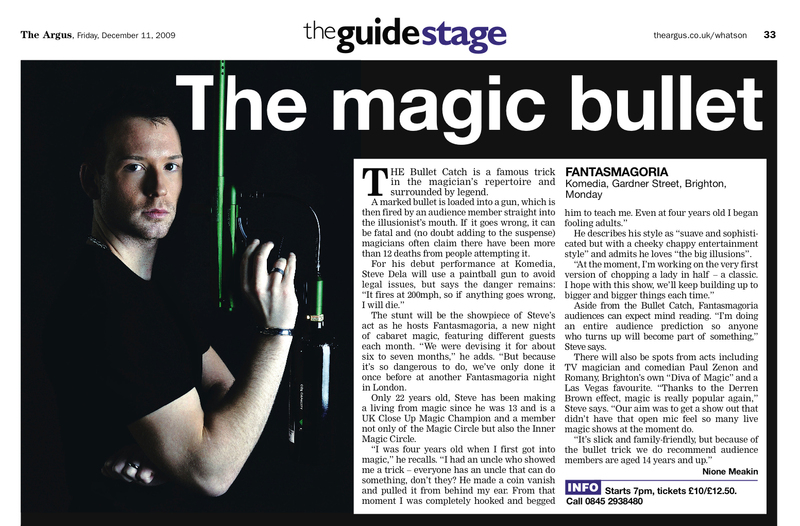 Steve's amazing bullet catch routine featured in "The Argus". Click icon to read the article.